Travel the World's Managing Director Andrew Millmore joined three generations of Tauck family members, local dignitaries, travel agents and journalists from around the world in Cologne, Germany, for the official christening of Tauck's newest riverboat, the ms Treasures, on August 10. The ship is the fourth new Tauck riverboat launched within the last five years. Robin Tauck, the ms Treasures' honorary godmother and the granddaughter of company founder Arthur Tauck, Sr., officially welcomed the ship into Tauck's fleet during a traditional christening ceremony. With celebratory music provided by a local pipe and drum band, and with geysers of water sent skyward by a nearby fireboat, the assembled guests then boarded the Treasures for a cocktail reception, gala dinner, and three-night christening cruise along the Rhine. "This christening marks a very special occasion for Tauck", says Travel the World's Andrew Millmore. "We've not only shared in the launch of a beautiful new ship into the Tauck fleet, but also been able to celebrate Tauck's recognition as 'World's Best River Cruise Line' by Travel + Leisure magazine, and the first departures of two new Tauck cruises on the Rhone." As on its other riverboats, Tauck has created an intimate, club-like atmosphere aboard the Treasures by intentionally limiting its capacity to just 118 guests, compared to the typical capacity of 140 or more on other ships of similar size. The Treasures boasts 14 spacious, 300-square-foot suites, each equipped with walk-in closets and marble baths with full-size tubs. The ship also has seven junior suites and 38 cabins (17 and 14 square metres, respectively), and all suites, junior suites and cabins feature new décor and bedding that Tauck has added fleet-wide for 2011. All suites, junior suites and cabins also feature plasma TVs, mini-bars, terry cloth robes and slippers, radios, safes, adjustable air conditioning and L'OCCITANE toiletries, and most accommodations have full floor-to-ceiling windows and French balconies for enhanced appreciation of passing scenery. Guests aboard the Treasures can also enjoy the ship's gym, outdoor jacuzzi, restaurant, lounge, boutique, massage studio and a second, more casual dining venue in the ship's Lido Bar. Nonetheless, according to Tauck CEO Dan Mahar, ship design and onboard amenities are just part of what make Tauck river cruises so special. "We take tremendous pride in our riverboats, and we honestly believe that we have the finest fleet on Europe's rivers," said Mahar. 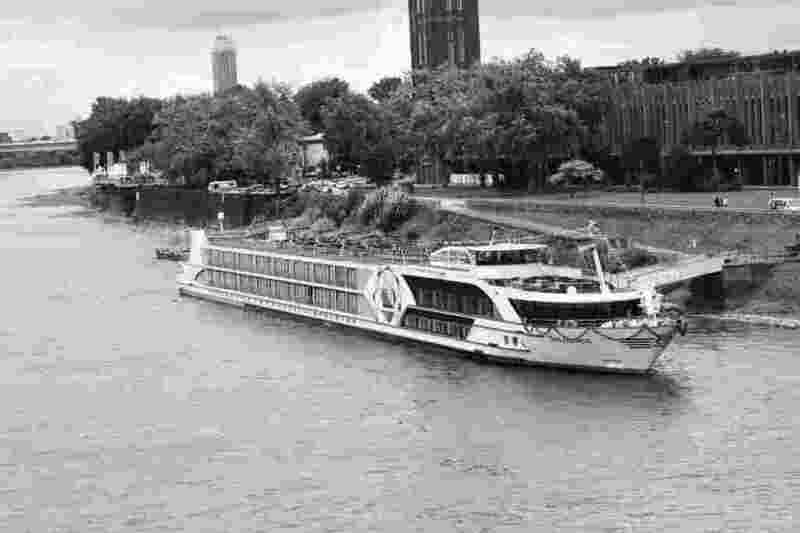 "But the onboard experience is just one-half of the total river cruise experience. The exclusive access we provide to people, places and cultural traditions, our all-inclusive pricing, the service provided by our three Tauck Directors and Tauck Cruise Director, and the 86 years of tour operator expertise we bring to our shore excursions all combine to make our river cruises the best." "It's worth remembering that the Travel + Leisure award is based on six different criteria that encompass far more than just onboard amenities," concluded Mahar. "Besides being scored on cabins and food, we were rated on service, value, itineraries and activities. That really speaks to the different elements that make up a Tauck river cruise experience, and we work incredibly hard to excel at them all." Adds Andrew Millmore: "Our Australian client is a sophisticated and demanding customer, and they have responded enthusiastically to the Tauck offer. It talks to their sense of inclusive value and their desire for new, luxurious and culturally enriching experiences. We are very excited to have this new ms Treasures ship and the opportunity to further showcase what Tauck and the best of river cruising is all about."